Praise for Gill Paul: 'A cleverly crafted novel and an enthralling story... A triumph.' 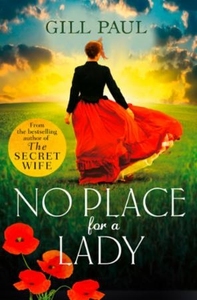 DINAH JEFFERIES 'Gripping, romantic and evocative of its time.' LULU TAYLOR The year is 1854, and Britain is in the grip of a gruesome war. Dorothea Gray has not seen her little sister Lucy since she eloped with the handsome Captain Charlie Harvington and set sail for the Crimea. Now, as the war worsens and the battlefields darken with blood, Dorothea must risk everything to find her sister and join Florence Nightingale in the Crimean hospitals, nursing the injured soldiers back to health. But the young Lucy is fighting her own battles, and not everyone wants to be found... Against the backdrop of one of history's most heartbreaking wars, can these two sisters find their way back to each other? Or will tragedy intervene? A spellbinding tale of courage, adventure and true love from the bestselling author of The Secret Wife.